SKU: PurpHazeZero. Categories: Flowers, Sativa. Do like Jimi Hendrix and get that "Purple Haze all in my brain". Hallelujah, Halle Berry... been patiently waiting ages for this to come back. Purple Haze will make you rise from the ashes like a phoenix! If you're in the dumps it will bring you back to a good place. Boost your mental vigor. You might just find yourself going on a little adventure and befriending everyone and everything around you. 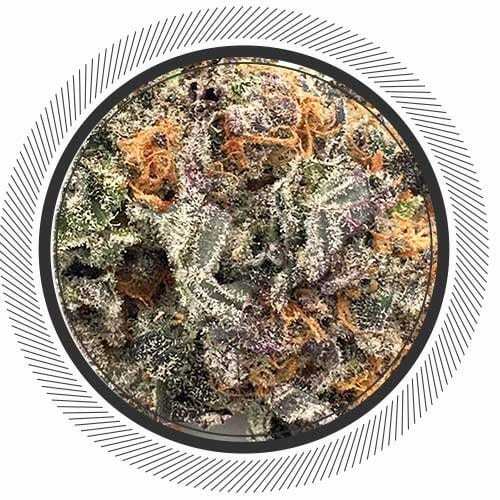 Purple Haze provides a cerebral stimulation like no other strain known to mankind. Just ask Jimi Hendrix. The effects will make you very talkative and social... it's an amazing strain. It's one of those highs where you know that you are on another plain of existence and it is awesome. You're not scared of being there because you're grounded but you can step back and enjoy life from an outside perspective. You might even get a few moment of psychedelics. Dean found that lights and music were amplified. Everything was bit more vivid than normal. We can't wait to read your reviews about your own unique experiences. The nose on this is sweet and pungent. Bud structure is 100... caked in trichomes. Really excited! I couldnt wait to try it When I received my notification saying I received the order which include This strain so I quit in the middle of my shift to try this at home and what I can tell you folks , is that Im now JIMMY HENDRICKS f*cka ! great Sativa you lift like an angel on this one and the Look is very appreciated from here without the sleeping effect ! Purple haze , ahh purplaze . Rocking out hard on this, it definitely gets me in the zone. Turned on Rocksmith and slapped my bass for a solid hour soon as I got this in me. Absolutely amazing quality purple haze right here. Love everything about it. Not sure what else to say about it considering its enormous reputation besides 10/10 in my books and I recommend getting some for yourself before it sells out. Spent more time with this lovely flower and I have to say 5 stars. Very versatile and it puts you into a very pleasant state; I get more patience and more emotional/self control. This is the best for social situation, at least for me. Thank you gwp! Can’t go wrong with this strain. Powerful kick to it, that’ll leave you smiling and creativly thinking all day/night. Great quality product – smooth, tastey, absolutley wonderful! If you like to watch a good sunrise or frankly just enjoy being outdoors, this strain is wonderful. It hits hard lasts long and is really euphoric. 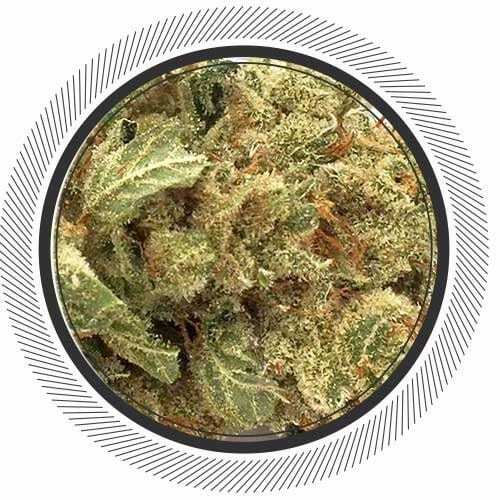 Tastes and hits best out of a joint compared to other methods, definitely one that will brighten your day and make you want to dance. The smell is absolutely great, the buds are loaded with crystals and beautiful purple throughout. I didn’t know all that much about Jimi Hendrix before but i now understand the experience ;) thanks 0 ave, yet another awesome example of compassionate growing. This has got to be my new favorite haze. Energetic, uplifting and a huge pain killer. This strain is perfect for hiking to just watching movies. Its good all around. What a great creative strain! Also made me very talkative and comfortable in social situations which is great for those who might suffer from social anxiety! Kind of makes you want to put on some old rock ‘n’ roll and just vibe out! Definitely need to get some more of this when it’s back in-stock! I was in such a good mood after a toke of this strain! It was difficult for me to stop talking and/or laughing. Definitely one to lift depression. Just recieved my half today,took longer than usual to get here ,but well worth the wait. Beauty buds,nicely groomed and oh! that smell. I really enjoyed this flower! it had great bag appeal, vaped nicely in the mighty, great effects! I seem to be drawn to a good sativa.. Nice one GWP and Zero Ave.
Just packed my pax for this review. Ever since reception, PH has been impressive. I rarely encounter sativas this dank. Super smelly and tasty, this stuff is LOUD. It’s also rather stimulating, without being too overwhelming for those with anxiety. One more thing about the dankness: the smell on this plant is unmistakable. Sweet and earthy, with a hint of skunk. I reiterate very LOUD strain: beware of those within “ear shot”. My first time trying this and it’s awesome! The look, smell and taste is a amazing!! Very good for during the day. I’ll definitely be purchasing more of this soon. Invigorating, is the word. This bud is great!! Beautiful large nugs that are just covered in purple. Tastes great, very grapey and smooth. Not too potent, the perfect daytime smoke. Beautiful purple nugs covered in trichomes with sweet, earthy aroma and flavour. Light cerebral high – not very potent. Smoke it first thing in the morning and you won’t regret! Tasty smelly and so smooooooooth ! First time trying this strain, as some have said I find it a good daytime green. With a good strong smell and kick to boot I will be back to this strain when I run out. enjoyed smoking this for day time use. helped with my depression. Amazing taste and the smells is really nice ! The budz are really purple ! This stuff took me back to 1999. Great times. Great cannabis. Buy it! Very impressed with this sativa. Will be ordering again! Definetly met and exceeded all expectation. Really great smell and look, even better euphoria. The feeling Purple Haze gives you is worth a re up itself. Amazing day time high, would also reccomend to anyone looking for a beginner’s strain. Le meilleur sativa que j’ai essayé le gout de fruit très présent ainsi que l’odeur . Le buzz très efficace aussi . thank for that great strain. lot of memory. Wow my new fav sativa!!! Looks smells and tastes 5⭐ and the effects are even better. I want morrrreeee! Smells and tastes great. Really smooth to smoke and good for day time highs or parties. Doesn’t bog you down and felt like I could keep going all day and night! Good taste like blueberry, love this one it’s a must to try at least and probably a keeper. I am a new medicinal user and I found this strain to be very calming and relaxing. An earthy flavour and very smooth vapour, with no coughing. I was among friends with this and I was still very social and comfortable. I didn’t find much for pain relief from this strain but I enjoyed the state it put me in very much! Absolutely worth trying again and highly recommended. Very mellow and nice high. It’s very relaxing and it does what a Sativa should do. Little pain relief but clear high. 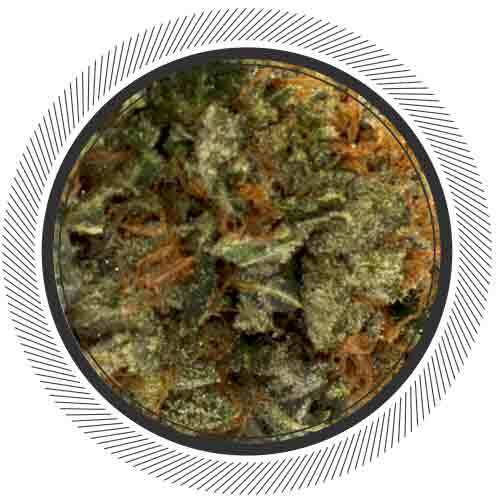 The come down is a little high on the indica side but still very balanced. Nugs were nice and dense. Looked nothing like the pictures, no noticeable purple colour at all actually. Smelt pretty decent, and it did the job. But was nothing spectacular, maybe my expectations were too high, or maybe it just didn’t meet my expectations. Trim was loose and leafy. It did the job, but would not likely buy again. Super fast acting with a full body & head stone. The smoke is as smooth as a snake’s skin rubbed the right way. Baby, just lay back ’cause you won’t be going anywhere soon. The couchlock will nail you downtown! Imma not a sativa guy but this was good. Fair price and it looks smells tastes fine. 0 Ave has slipped on their quality of the blue and white comas but this purple haze is pretty good. Perfect nose, look, smoke, etc, absolutely no complaints on this one, a master piece and a must try! Cant ever go wrong with purple haze! Especially stuff this good! After smoking this stuff I feel like I can play guitar like Jimi Hendrix lmao just doesnt sound as good. Amazing stuff!! Great sativa. Perfect for daytime use! i’m so glad i got some of this before WP ran out again. The aroma is wonderful and sharp; the smoke is tasty and smooth. There are no jitters, either, just a strong, calm high that’s perfect for daytime mobility. i had a hit then immediately got up and vacuumed my entire house. This is my favourite strain from Zero Ave. I have tried their White and Blue Coma, their White Widow and now their Purple Haze. It has a sweet fragrant indicating it’s sativa heritage. It is also sticky. I have no expectations and this was a nice surprise. 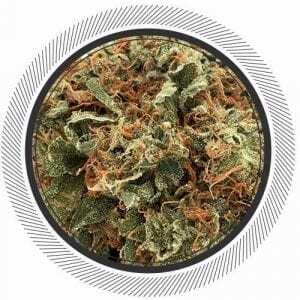 This is not a real creeper as you will feel it’s effect building and it continues for a good half hour after inhalation … we are talking joints. Vaping gets you close to max high by the time you are done vaping which is ten to 15 minutes later. With a joint, it gives me a better feel for how fast the high comes on. It takes me 3 minutes to consume the entire joint. With this, the high begins as you are smoking. In 15 minutes you are well on your way to a happy sativa high. It will build for the next half hour and provides a solid hour of mind melding high. Like a Sativa, the coming down is not rough and it sets you up nicely to cruise for the rest of the day … or you can also light another one after a few hours. This is Sweet weed, tastes great, smooth clean smoke. 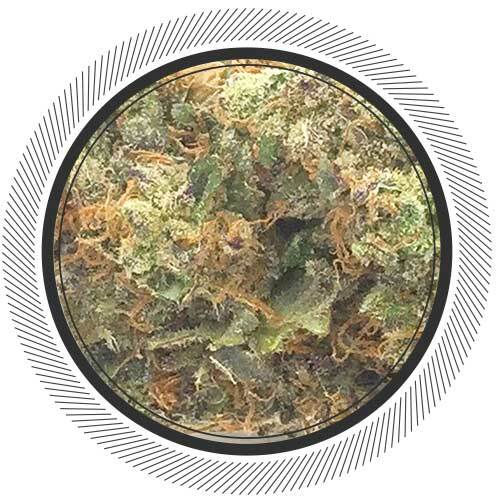 Consider this a fine sativa that gets you out of the chair, lifts the spirits and stimulates thinking. Huge nugs, smells great, tokes great, taste awesome! one of the best strains i’ve got in the site yet! Definitely recommend! Was very pleased with this strain. Burns slow and clean. Long lasting buzz and then a nice burnout , providing a deep sleep. Hell Ya Love This Bud!! !Must Try!! !Worth Every Cent!! One hit of this has a nice strong, soothing punch and it lasts for hours, settling down to a nice, calm finish. I can go for a run or draw or spin some wool or clean the house–it’s great for keeping active. Also, the aroma is nice and sharp, with smooth smoke.